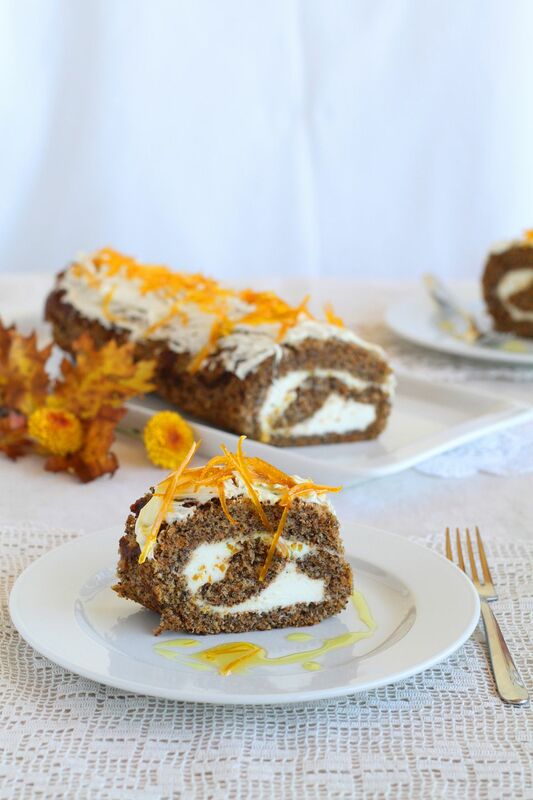 Everyone just loves this Pumpkin Roll Cake made in a jelly roll pan. This moistness of the the pumpkin cake is further enhanced by the cream cheese filling. Mix flour, soda and pumpkin pie spice and set aside. Blend eggs, sugar and pumpkin. Mix remaining ingredients and set aside in refrigerator. Once pumpkin cake is cooled, turn out on a cheese cloth lightly dusted with powdered sugar, roll loosely and let cool (this will help form the roll). Once cooled to room temperature, mix cream cheese mixture to soften. Roll pumpkin starting from the tapered end. Powder outside of roll before wrapping in wax paper or foil so not to stick to wrapping and chill for at least 1 hour. When ready to serve slice 1/4" thick and garnish with powdered sugar and cinnamon.